A government-appointed council says British Columbia must take immediate action to increase wild salmon populations. 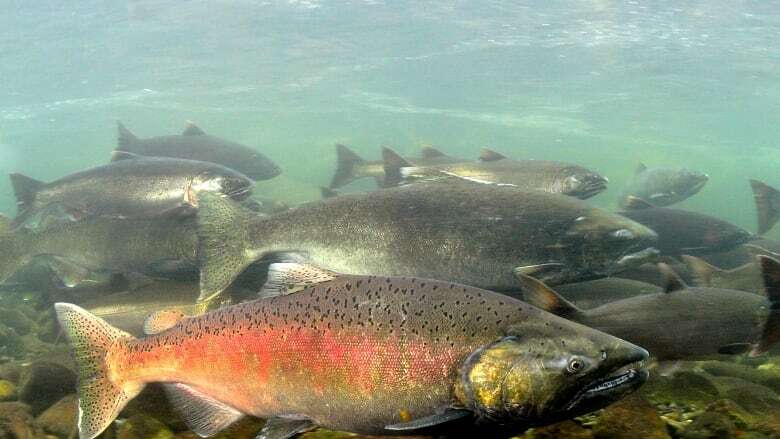 The Wild Salmon Advisory Council says in a report Friday the provincial government must focus on "tangible, achievable, near-term actions" that address the immediate needs of wild salmon and their habitat. The council's 30-page report says the government should take on the role of the champion of wild salmon. It says that despite billions of dollars in public and private investments over the past 30 years to protect, restore, enhance and manage B.C. 's wild salmon and steelhead populations, the stocks continue to weaken, with some at alarming rates. "We heard at multiple times, and in many ways, that increasing wild salmon abundance is and should be a provincial government goal," the report says. "We also heard repeatedly that the citizens of B.C., and particularly adjacent communities, must benefit directly from the public investment that will be required." The 14-member council included representatives from the fishing industry, conservation groups, Indigenous communities and provincial politicians, including NDP co-chairman Doug Routley and Green legislature member Adam Olsen. Heiltsuk Nation Chief Marilyn Slett also served as the council's co-chairwoman. The council held meetings in seven communities, including Campbell River, Kamloops and Skidegate, in December and January and met with wild salmon stakeholders in Vancouver for two days. The report makes 13 recommendations to the government to increase wild salmon populations, urging quick action to protect salmon habitats that have not been disturbed and restore degraded habitats. The government said it is reviewing the council's report as part of its plan to restore wild salmon stocks. Salmon conservation groups said they were pleased with the council's recommendations to increase wild stocks and protect and restore habitat, but were concerned about calls to support the commercial fishery in areas of threatened fish stocks. "There's a strong focus on revitalizing the commercial fishing industry, but no talk at all about the impacts of fishing on endangered salmon stocks," said Aaron Hill, executive director of the Watershed Watch Salmon Society. "And there's no talk of moving to new technologies that will allow for sustainable harvests of abundant runs while minimizing the harvest of endangered stocks."